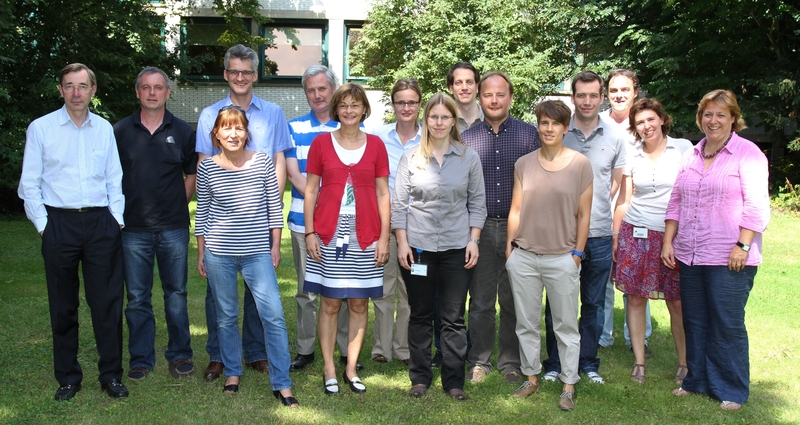 Eight members build up the Executive Board of the SFB 829: The speaker Prof. Carien Niessen, vice-speaker Prof. Thomas Krieg and six other principle investigator, Prof. Manolis Pasparakis, Prof. Mats Paulsson, Dr. Sara Wickström, Dr. Björn Schumacher, Prof. Dr. Sabine Eming and Dr. Sandra Iden. The SFB contains 20 Research Groups (A1-B15) with 26 principle investigators and four Central Service Projects, Z1, Z2, Z3 and Z4. Several new university recruitment have strengthened this SFB by providing novel expertise. New structures have been implemented within participating departments with the aim to provide a bridge function between basic science and clinical medicine. The speaker Prof. Carien Niessen, vice-speaker Prof. Thomas Krieg, managing coordinator Dr. Isabel Sáez Martínez and our student assistant Maria Pauli form the Central Administration. 13 Research Groups that are interested in the SFB 829 to align their research interests with skin related topics are associated to the SFB 829. Seven international experts from USA, Netherlands, UK, Switzerland and Germany are members of our External Advisory Board, ensuring an outstanding consultancy and supervision. Working together with nine nationwide and internationally known Institutions, the SFB is embedded into an excellent research environment.